From Managing Director to Marketing Specialist to New Business Strategist, Holly Ford has an extensive background in working with new businesses and leveraging their existing resources to create phenomenal growth and value. In 2015, Ford ‘settled down’ and took on the challenge to “fix the sales” of a stagnant concept. In the role of Director of both Franchise Sales and Director of Sales for the franchisees, Ford morphed the concept into a franchise 500 brand, single-handedly working on every area of marketing, sales and even operations. In this role, she received several awards including ‘Favorite Zor’ and ‘Big Kahuna’, but the highest reward to Ford was the results. Selling more franchises than the brand had done in the 10 years prior combined, the brand grew at an astonishing 600%, and the franchisee sales program that she established, more than doubled their initial customer acquisition rate. Some of Zarian’s new clients preferred a new franchise to a business resale and Ford saw the value in joining a franchise brokerage. After working with virtually all of the domestic brokerages in her development role, she joined The Franchise Consulting Company who she considers superior to the competition. Men and women who consider taking ownership and buying a business, exhibit the rare traits of determination and a keen focus on their desired outcomes. These intelligent men and women that I have worked with, know overtly the failure rate of new business startups is an astounding 98%; and yet they often prefer those odds to the corporate financial ceilings and limitations for growth. But owning a franchise is different. The success rate is substantially greater. A franchise wields the power of an established brand, shares a network of successful franchisees, and creates a solid foundation of support. This fertile ground then enables the new owner to sow his unique skills and competencies into the business, to yield the fruit of a powerful enterprise. 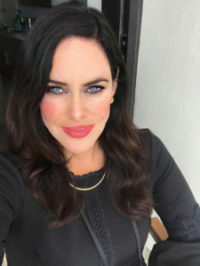 As the founder of a business resale company that validates every business and every buyer, Holly Ford has the unique optics, through her extensive work with valuation experts and SBA agents, to discern amongst the more than 3000 franchise brands how well the brand will translate into a positive, powerful exit strategy for her clients. As a franchise executive, Ford morphed a stagnant concept into a franchise fortune 500 brand, working on every area of marketing, sales and even operations. In this role, she received several awards including ‘Favorite Zor’ and ‘Big Kahuna’, but the highest reward to Ford was the results. The brand grew at an astonishing 600%, the franchisee sales program that she established, more than doubled their initial customer acquisition success, and the resale program she developed increased owner resale value by nearly 900%. Ford’s insights from this side of the equation, empowers her clients with the tools to unshroud hidden value as well as reveal the potential mine fields of a brand. As a speaker and trainer, Ford employs the rich resources and stunning business success of Jim Rohn, Tony Robbins and Bert and John Jacobs (Life is Good), to inspire business owners to recognize and increase the value in their business, and leverage that value for a powerful exit strategy. In developing these strategies for success with owners, who each possess distinct competencies and personalities, Ford is adept at synchronizing her clients with franchisors that coalesce well with their skills and preferences.